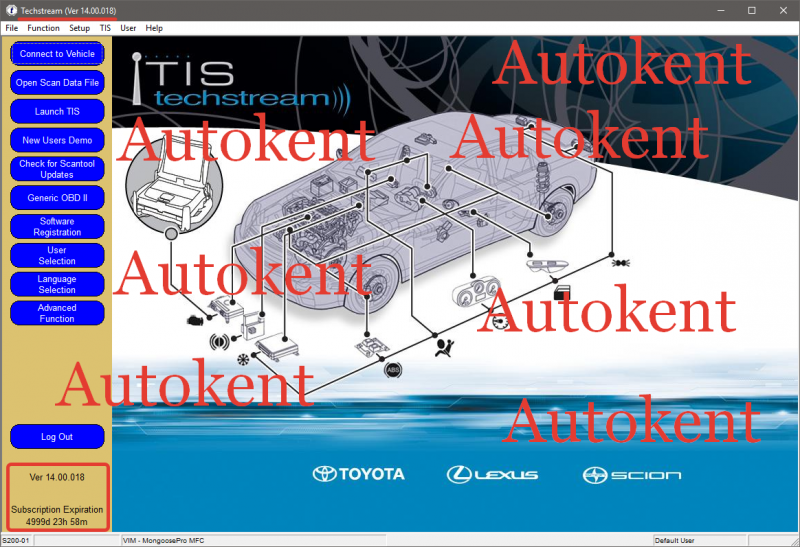 Diagnosis software for TOYOTA Cars. The program for the diagnosis of car TOYOTA, LEXUS, SCION. Required for the diagnosis of PassThru J2534 compatible adapter. TIS techstream is the replacement for the Diagnostic Tester. It combines the functionality of TIS and the scantool into a single portable device. With TIS techstream, technicians can simultaneously view/analyze on-board vehicle data, browse relevant TIS service documents, and reprogram vehicles all from the driver's seat via wireless connection to TIS.